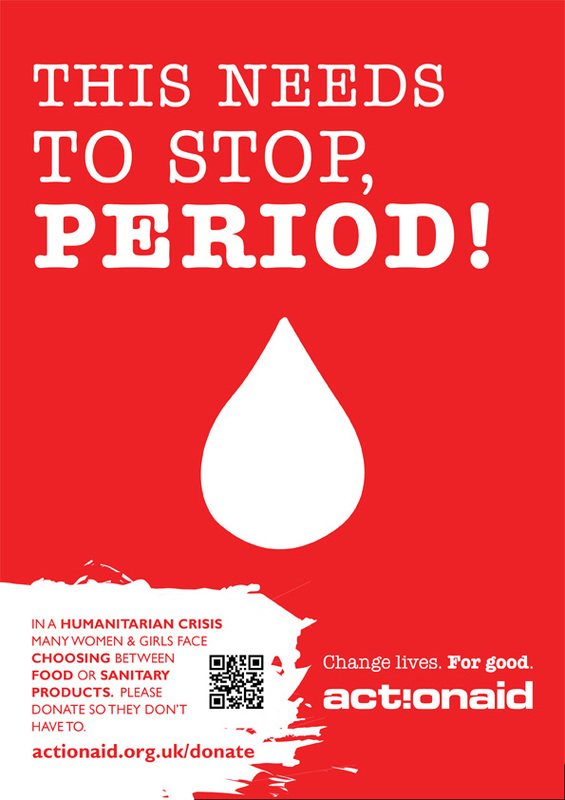 Women in countries suffering with war, famine, natural disaster or other humanitarian crisis often have to choose between food and sanitary products. A monthly donation can help these women and girls get access to clean safe feminine hygiene products. 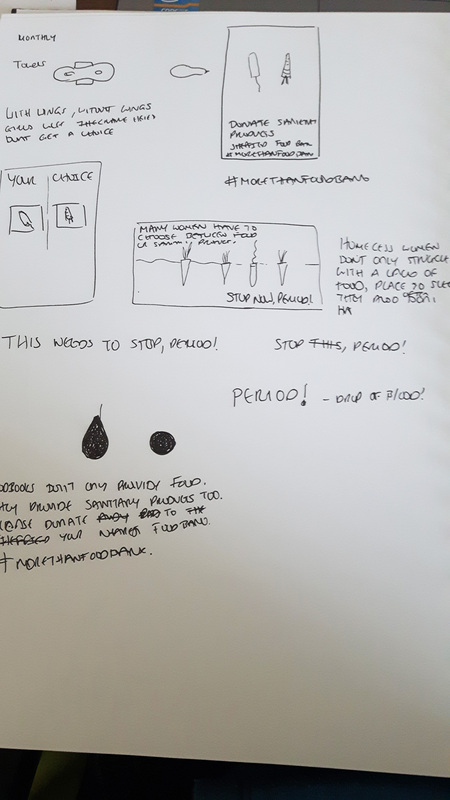 Here are a few of my sketches and ideas I had for an advertising campaign which would feature in Women’s public toilets. I finalised the poster design for Action Aid using Illustrator and InDesign. 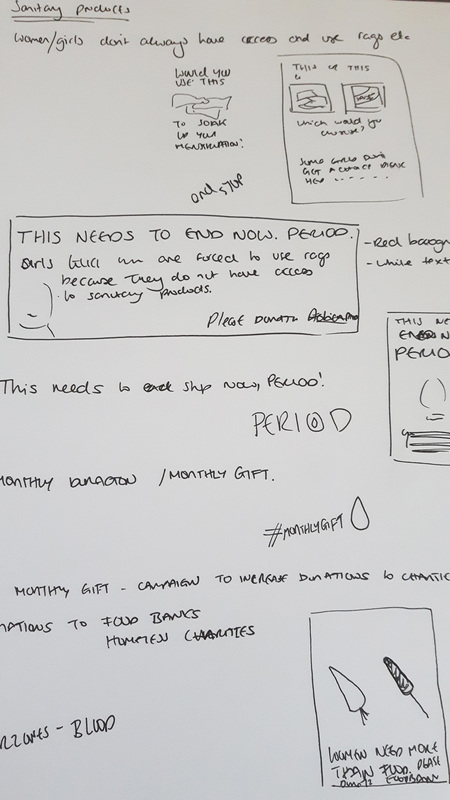 However, I felt that one of my other ideas for Food Banks would work well too. Many women in the UK, often young girls, struggle to access sanitary products. Often caused by the numbers of girls living in poverty their parents have to prioritise food and energy bills. It is one of the unseen problems which also effects homeless women and girls too. 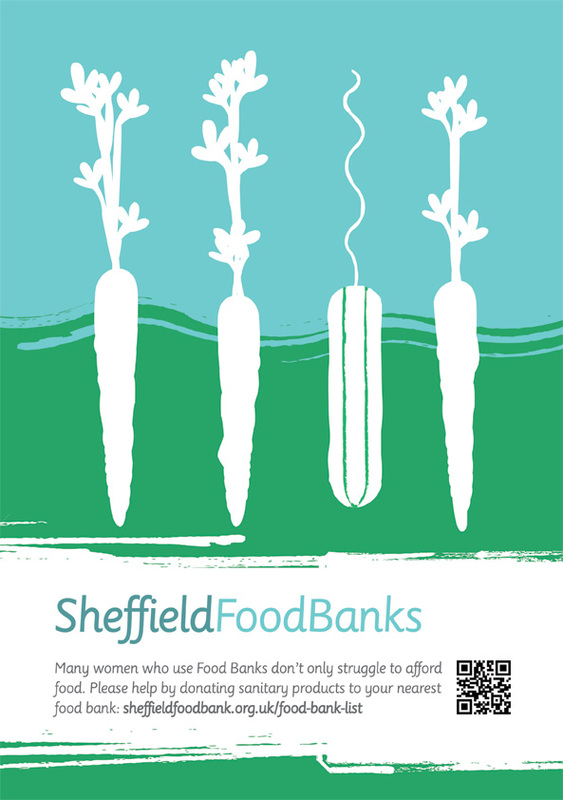 I thought this advert could be featured around schools, universities, hospitals, GP surgeries and other suitable areas of Sheffield in order to promote donations of sanitary products to Food Banks.